Lincoln, Neb. — FarmAfield, an online marketplace being developed by three University of Nebraska-Lincoln students, has been named a finalist in the international Thought for Food Challenge. More than 500 entries from more than 100 countries were submitted in the competition aimed at finding creative ways to face the challenge of feeding the world. Brennan Costello, a senior agribusiness major; Matt Foley, a junior economics and management major; and Andrew Minarick, a sophomore biosystems engineering major; have worked with Mitch Minarick, a research assistant professor in the Department of Biological Systems Engineering, to develop a transparent exchange of small production contracts between everyday people and farmers to address income volatility and increase investments in agriculture. The idea is to simplify the process for everyone to connect to agriculture. As a finalist, the FarmAfield team will travel to Switzerland in April for the Thought for Food Global Summit. Before the trip, they will have the opportunity to consult with agricultural and entrepreneurial experts. While in Switzerland, the team will take part in a three-day startup accelerator program before pitching their idea to global experts in food security. One of the 10 finalists will be selected to receive $10,000 in seed funding. "Experts from around the world will be there who could help us take FarmAfield to the next level," Costello said. 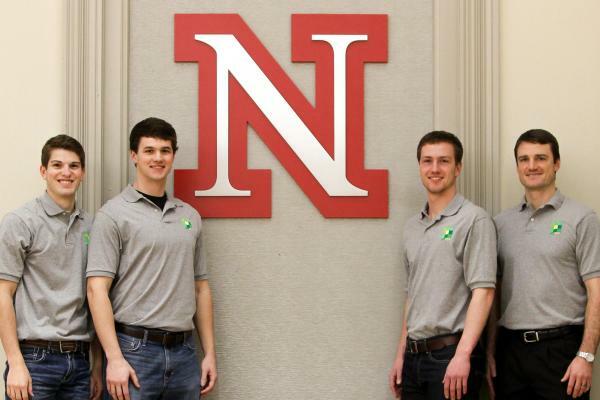 Costello and Andrew Minarick are both entrepreneurs in the Engler Agribusiness Entrepreneurship program at UNL. Andrew and Mitch Minarick are brothers. Thought for Food is a movement dedicated to tackling the global challenge of feeding 9 billion people through bold, breakthrough solutions. The annual competition is designed to catalyze university students from all fields of study to learn more about the complex challenges surrounding food security. To learn more about FarmAfield, visit http://www.farmafield.com.